How is cultural change perceived and performed by members of the Bena Bena language group, who live in the Eastern Highlands of Papua New Guinea? 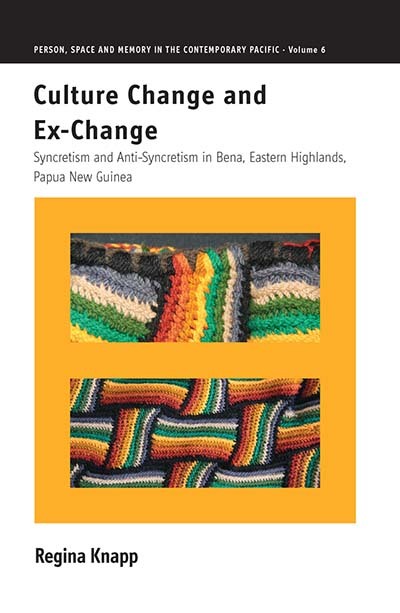 In her analysis, Knapp draws upon existing bodies of work on ‘culture change’, ‘exchange’ and ‘person’ in Melanesia but brings them together in a new way by conjoining traditional models with theoretical approaches of the new Melanesian ethnography and with collaborative, reflexive and reverse anthropology. Regina Knapp acquired her PhD degree in 2011 at the Australian National University, Canberra. Since her early studies she conducted various research projects in Papua New Guinea.